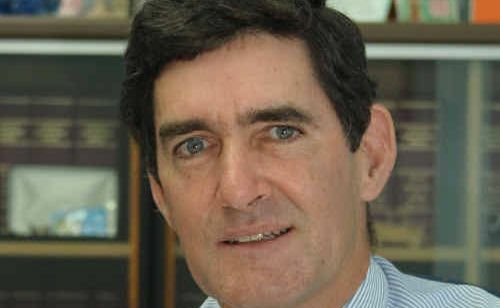 SUNSHINE Coast MP Peter Wellington has called on Premier Campbell Newman to call an election and put his electoral funding laws and asset sales to the vote. The comments come as Chris Davis, the MP who quit the LNP, says the party cannot handle dissenting views - an issue that starts at the very top. Mr Davis quit parliament on Friday, saying he could not support Campbell Newman's government's decision to dramatically increase the amount of money people can donate, in secret, to political parties. Individuals can now make donations of up to $12,399 without having to declare it. The old threshold was just $1000. Mr Wellington, one of the LNP government's most fiercest opponents, took to Facebook over the weekend to protest the changes and the loss of Mr Davis. "Chris Davis is a true gentleman, a decent and honourable man who made the fatal mistake of believing that looking after his electorate was more important than following the LNP Party line. "After the Premier's callous and vicious treatment of the Member for Stafford... it is little wonder that he resigned. "Read the Hansard records of this week's sitting to see the style of the Premier and his leadership team. "Parliament has descended into a place of thuggery and viciousness where questions from the Opposition and Cross-benches are treated with contempt and responded to with abuse and scorn. "I am very sad to see Chris go and believe the people of Stafford have lost an excellent representative. "Instead of an expensive by-election for the seat of Stafford which I predict would be a massive loss to the LNP, the Premier should call a State election,'' Mr Wellington wrote. "He has wasted $6million on a public relations fiasco to justify asset sales and with a Budget to be brought down next month; July or August would be the perfect time for him to go to the people.